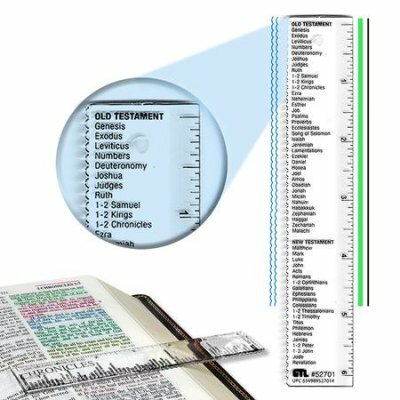 Clear plastic ruler 16.5 cm (6 inch) long with books of the Bible lkisted in order for easy reference. One side is straight and the other scalloped. The ruler shows inches and not metric measures.